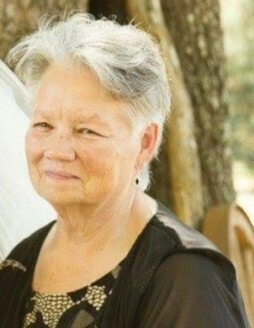 Patricia Ann Davis, 70 of DeSoto, GA died Wednesday, August 15, 2018 at her residence. A memorial service celebrating her life will be held August 25, 2018 at 4:00pm at the home of Neil Walker, 2290 Hwy 195, Leslie, GA 31764. Born in Bainbridge, GA to the late Clinton T. Douthit and Jeanett Douthit, Ms. Davis lived in Americus most of her life before moving to DeSoto. She worked with Clark Brothers Warehouse and The Coca-Cola Bottling Company in Albany. Survivors include her children Albert “Big Al” Swearingen (Loclyn) of Leesburg, GA, Kricket (Willie) Hale of Desoto, GA, Tracy (Christy) Swearingen of Leesburg, GA; grandchildren Ashli Farris, Mandy Swearingen, Kelly (Clayton) Cook, Justin (Paige) Swearingen; five great grandchildren and a great grandchild on the way; a brother, Buddy Douthit; sisters, Nora (Mark) Fraizer and Charlene (John) Franklin. In addition to her parents, Patricia was preceded in death by a brother, Butch Douthit.